A mysterious transmission came through the computer I was using during my live radiocast of Episode 3 of 2 IN THE SAME BOAT with MoJoe & Vincent. It was from the AndroidVirus himself, instant messaging me nothing more than “Review This,” and a link to this album titled Into The Future by some band called BLACK MOUNTAIN. No other info. I’ve never heard of them before, but when he does this, it’s usually something worth checking out. However, The cover instantly grabbed my attention, being that of a parched and wilted landscape, appearing much like the surface of Mars, with small pools of shallow and stagnant water here and there. *(Our Earthen future, no doubt, especially given the title of the album.) Almost perfectly symmetrical, in the center of the pic, breaks forth a triangle, the inside of which is made of again of perfectly symmetrical cubes. In the background, peering out from amongst a thick layer of ashen, dehumidified cloud, is a menacing yet distant sun, either icy-hot or searing-cold. *(This amazing, brilliant painting was apparently done by keyboardist JEREMY SCHMIDT, and is apparently based upon the work of STORM THORGERSON, who’s done cover art work for everyone from PINK FLOYD to BRUCE DICKINSON to ANTHRAX.) Now, question is, would the music contained within this massive tome of an album live up to the epic, deeply psychological implications and sheer desperate beauty of this epic-in-scope album cover? The answer to that question is a simple, surprising yes. In fact, throughout the course of this monolith of an album, it seems a touch of all acts mentioned above seem to creep in here and there. It starts off with a thick slab of stoner rock called “Stormy High,” and from there drifts into some serious DEEP PURPLE & psychedelic-era BLACK SABBATH territory, before seamlessly slipping into SYD BARRETT era-PINK FLOYD land for a bit. From there it only grows more epic, experimental, and spiritually deep (on a universal scale); a genreless *(fukk genres), sometimes bleak, often beautifully haunting sonic experience. The tales they tell are of a planetary death through her keepers *(the human race’s) own self entitled apathy. This is an album MADE to be listened to in one sitting, not song by song. 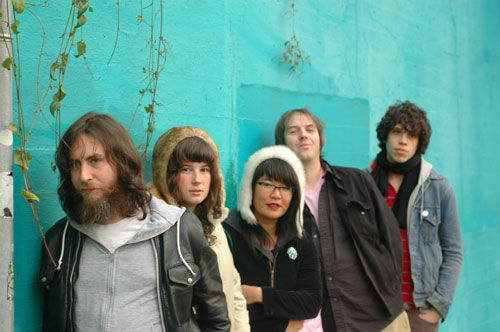 It’s actually BLACK MOUNTAIN’s 2nd album, from 2008. The middle chapter of three full lengths – – – the center of the covers triangle, perhaps? They’ve been around since 2005, and also have 2 eps. 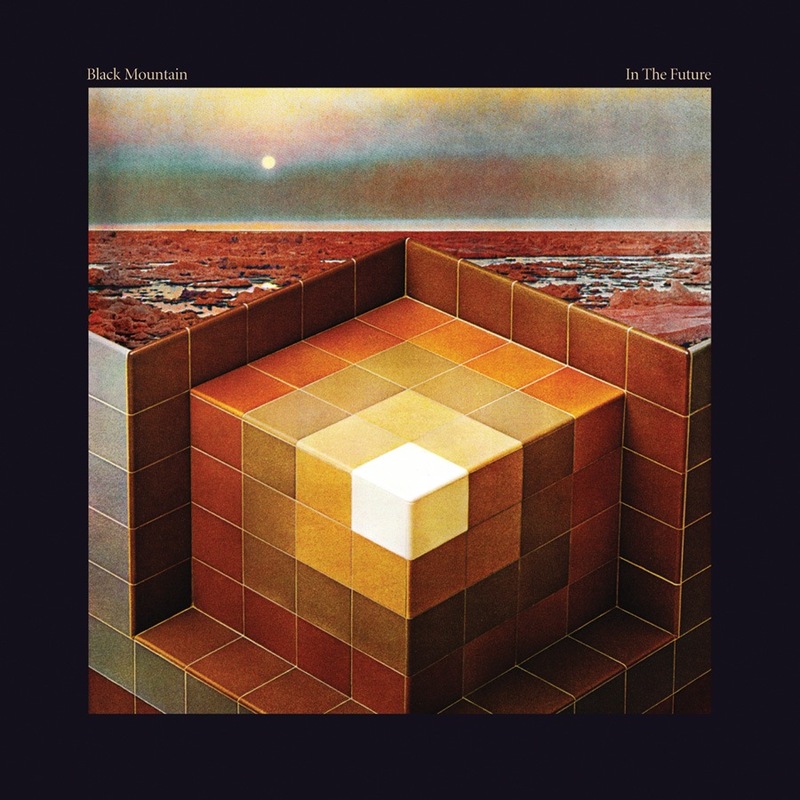 I HIGHLY recommend INTO THE FUTURE for fans of stoner/prog/space rock with a twist, and have minds open enough to completely experimental sounds, and an appreciation, and tolerance, for epic, monolithic music in general.